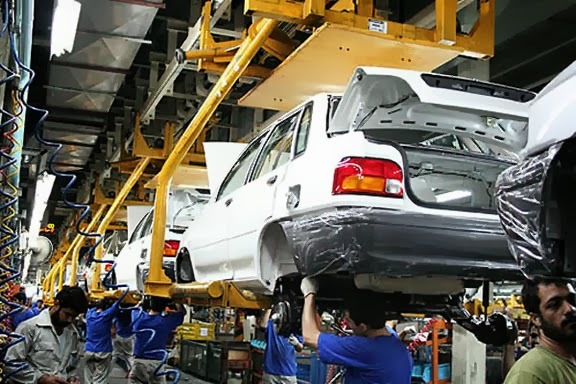 Iran’s auto manufacturing output for the first four months of the Iranian year, which coincides with the four months ending July 2013, was down a further 47 percent year-on-year (y-o-y), according to data from the Iran Vehicle Manufacturers Association. BMI also reports that although production of the Peugeot 206 recommenced in December 2012, output of the model was down 67 percent y-o-y for the four-month period, despite earlier expectations that the reintroduction of the model could be the beginning of an upturn for the industry. Good news at last ! We need less of these pieces of junk on our roads. Mass produced coffins on wheels.This is result of "hidden imam" system of "government".